The Regions Director serves a three-year term, so candidates run for election every third year. The next election for Regions Director will take place in 2015. The Regions Director must have prior experience in the leadership of an AAR region. He or she will represent the needs and interests of the AAR’s ten regions to the Board of Directors. The Regions Director chairs the Regions Committee and serves on the Planning Committee. 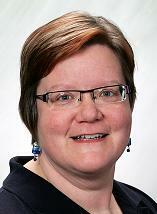 Susan E. Hill is professor of religion at the University of Northern Iowa. She received her BA from Macalester College (1983), and her MA (1986) and PhD (1993) in religion and literature from the University of Chicago Divinity School. Hill’s research interests focus primarily on the intersections between religious belief and cultural expression, particularly around questions of personal and bodily identity, gender, and sexuality. She has published articles on the authors George Eliot and Willa Cather, translation theory, pedagogy, and the history of gluttony and the fat body in Western culture. Hill is the author of Eating to Excess: The Meaning of Gluttony and the Fat Body in the Ancient World (Praeger, 2011). Hill has been involved in AAR’s Upper Midwest Region since the 1990s and in regional leadership since 2001. In 2003, she became regional President, and served in various other leadership roles from 2003–2009, when she became Regional Coordinator. Since 2009, Hill has been a member of the Regions Committee, which deals with regional issues and adjudicates regional development grants. From 2010–2011, she was a member of the AAR Regions Task Force, which reviewed and made recommendations for changes in the regional structures of the AAR. I am enthusiastic about the possibility of serving as the Regions Director for the AAR. I believe that my experience in leadership roles at the regional level, as well as my involvement with regional issues on the national level, make me well-suited to represent regional interests on the national AAR Board of Directors. The Regions Director needs to represent and to advocate for the regions; they are an important part of the work of the AAR. The ten regions of the AAR seek to provide opportunities for members to do the work of the AAR on a local level throughout the year. They assist in fulfilling the AAR’s mission to engage in “ongoing reflection upon and understanding of religious traditions, issues, questions, and values,” as well as “furthering knowledge of religion and religious institutions in all their forms and manifestations.” Regions function to make connections between scholars with shared interests, often in the smaller and more casual setting of the regional conference. Regional conferences offer opportunities for members to interact with nationally- and internationally-recognized scholars of religion who serve as plenary speakers and workshop facilitators. Regions can provide mentoring to graduate and undergraduate students pursuing careers in religious studies and can also promote pedagogical reflection and assist faculty in improving teaching and learning in the classroom. Regions also support local projects through AAR Regional Development Grants. In other words, although many AAR members may tend to privilege the national Annual Meeting as the primary way that the AAR does its work, doing this overlooks the crucial role that Regions play in supporting and enhancing the ongoing work of the AAR. The position of Regions Director would allow me to continue my work in supporting the Regions at the national level. The Regions Director also needs to understand the distinct identities of all of the regions. My work as Regional Coordinator from 2009–2012, as well as my participation on the Regional Task Force, gave me the opportunity to understand how regions work, with their distinct organizational structures, programs, and affiliations. Some Regions have yearly conferences while some use their AAR funds to support other regional activities. Some Regions work with a regional commission that organizes a yearly conference while others have a small board that performs that work. Some Regions have active graduate student groups or faculty interest groups. Some Regions have a large number of public and private universities offering doctoral degrees while others have a preponderance of small liberal arts colleges. Some Regions work closely with the Society of Biblical Literature or other scholarly organizations. All of these differences make each Region distinct. My knowledge of the current state of the various Regions will help me represent them well. The Regions Director will also need to be an effective participant on the AAR Board of Directors. As a Regional Coordinator in 2009, I was one of the people who voted to support the restructuring of the AAR Board of Directors, so I am familiar with the history of that change and its intentions. The previous Board structure included all ten Regional Coordinators; the new Board contains one. It is important that the Regions Director have a broad understanding of the Regions, which I do. I also have a long history at my institution and within the AAR of forging and maintaining positive relationships with many different people and groups. I believe that I have the skills to communicate effectively and be a good citizen of the board. The AAR has given me many opportunities to explore my scholarly interests and grow as a leader. I would be honored to give back to the organization by serving as Regions Director. David L. Weddle is professor of religion at Colorado College, where he teaches courses in comparative theology, philosophy of religion, ethics, American religions, and theory and method of religious studies. He was educated at Hope College (BA) and Harvard University (MA, PhD). In addition to articles in scholarly journals, Weddle is the author of Law as Gospel: Revival and Reform in the Theology of Charles G. Finney (Scarecrow Press, 1985) and Miracles: Wonder and Meaning in World Religions (New York University Press, 2010). 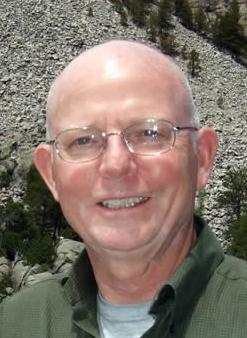 Prior to coming to Colorado College in 2001, Weddle taught at Cornell College, Iowa, where he served on many faculty governance committees and held the position of Richard and Norma Small Senior Faculty Chair (1998–2000). He also hosted a weekly public service television program on the ethics of public policy and served as Secretary for the Board of a low-cost housing program. He chaired the Minority Concerns Committee of the Associated Colleges of the Midwest and was President of the American Theological Society (Midwest Division). At Colorado College, Weddle has chaired the department of religion and served on the Faculty Executive Committee, participating in governance, budget, and personnel decisions. He served as the David and Lucile Packard Professor of Religion for 2009–2012. My reason for standing for election as AAR Regions Director is to serve as an advocate for stronger connections between the national AAR and regional organizations, with greater recognition of regional meetings as primary locations for scholarly exchange and collegial conversation. From the time I began teaching — in the days when JAAR had illustrated covers! — the AAR has provided indispensable peer support, rich scholarly resources, and pedagogical inspiration. I know firsthand how important regional meetings and networks can be for professional development. I have been a member of AAR since 1973, attending Annual Meetings and contributing to the work of the Upper Midwest, Midwest, and Rocky Mountain–Great Plains regions by presenting papers and organizing sessions. As Vice President of our region in 2006, I arranged the Regional Meeting at Colorado College and served as President the following year. I was honored to be chosen as the Rocky Mountain–Great Plains Regional Senior Scholar in 2009 and to be appointed to the national AAR Regions Task Force in 2010. My career in small undergraduate liberal arts colleges has required teaching across a wide range of subjects, and one important way I have been able to meet the demands of staying current is through the regional and national meetings of the AAR and Society of Biblical Literature. (For those of us in small colleges, the concurrent meetings of these two professional societies are a rich opportunity for continuing education in fields central to our teaching.) Thus, I am committed, as a member of AAR, to keeping our organization strong and effective, particularly by helping to implement recommendations of the Regions Task Force, under the stellar leadership of Brian K. Pennington. Among those suggestions are developing financial resources for Regional Development Grants, sponsoring booths at the Annual Meeting promoting regional programs, developing current directories of regional institutions and members, cultivating regional affiliations with other scholarly societies, encouraging submission of paper proposals to regional meetings, creating new forms of exchanging research through online media, and involving members of national Working Groups (formerly Standing Committees and Task Forces) more directly in regional activities. As we enter a new phase of AAR governance, we must address questions of how best to employ the resources in our Regions to enhance the services of the AAR in a time of global economic crisis, support colleagues in areas of the world where critical study of religion is a threatened profession, and raise our voice effectively in a public square increasingly strident with simplistic religious slogans and shadowed by dangerous ignorance of religions as cultural and political movements as well as spiritual traditions. Finally — and perhaps most important for the future of the study of religion in the academy — we must strengthen regional support and increase opportunities for the professional development of graduate students in the academic study of religion. Colleagues throughout our ten Regions are engaged in serious scholarship and dedicated service in religious studies; they deserve national recognition and support. The new position of Regions Director on the national Board of Directors will be a key location for coordinating and promoting the contributions of our regional organizations.